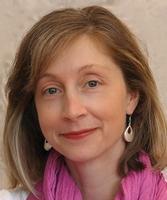 Goldie Millar, Ph.D., is a clinical and school psychologist. Since earning her Ph.D. in counseling psychology from the University of Toronto in 2003, Goldie has worked with children in hospital, forensic, community, and educational settings. She has a deep interest in children’s mental health, emotional regulation, and evidence-based intervention strategies. Goldie lives in Ontario with her husband and their two young daughters.